Haulmore Trailer Sales & Rentals offers a wide selection of transport equipment rentals including semi-trailers, low loaders, side tippers, water tankers and drop-deck trailers. Our knowledgeable team will help you select the best machinery for a specific project or for general use. 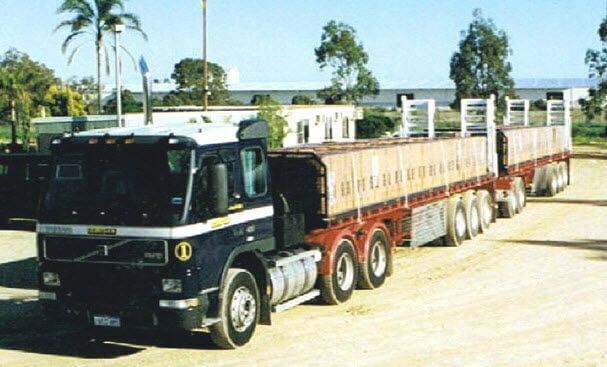 We cater for single trailer rentals to entire fleets if you require. Contact us and tell us what you need. This allows you to meet demand quickly and enjoy easy access to a range of modern equipment. Servicing and repairs are easily managed. Our team of mechanics is readily available if need be. This enables operators to accurately contain costs on a project. This is made easier as the rental rates usually include license, insurance, storage and general wear and tear costs. When projects get busy, simply increase the amount of equipment you hire, and send it back once the job has been finished. Allows for development in other business areas. If the transport equipment is for businesses purposes. Make the best use of your capital, save money and meet customer demands as they occur with our versatile trailer hire service. Fill out the online enquiry form or contact us to discuss the best trailer rental options for your next project.